Subtitle: President Bush has never publicly used the term, "New World Order", probably aware of the outcry caused by his Father's continuous use of that term. But, in his Inaugural Address, the President tied his Second Administration to the original goals of America -- to build a New Order of the Ages (New World Order) so the Masonic Christ could appear! The President also uttered a phrase straight out of Illuminized Satanism! "We go forward with complete confidence in the eventual triumph of freedom ... When our Founders declared a new order of the ages ... they were acting on an ancient hope that is meant to be fulfilled. History has an ebb and flow of justice, but history also has a visible direction, set by liberty and the Author of Liberty." President George Bush announced today that he is setting his second administration in the same direction as the Founding Fathers originally intended when they founded this nation on July 4, 1776 -- just 66 days after the beginning of the pagan festival known as Beltane, April 30. What was this vision? 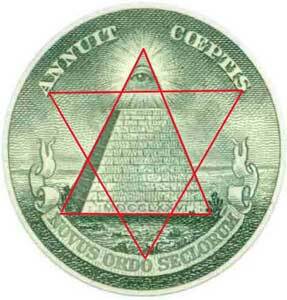 The words "NOVUS ORDOR SECLORUM" on the bottom banner of the unfinished pyramid seal on the back of our One Dollar Bill tells us what the goal of our Founding Fathers was: to establish a "New Order of the Ages", also referred to most commonly in occult literature as "New World Order". And, what is the goal of this New Order of the Ages, this New World Order? To reorganize the world into a One World Government, Economy, and Religion, so the Masonic (New Age) Christ could appear. The Bible calls this person "Antichrist". This quote demonstrates that the term President Bush used today -- New Order of the Ages -- is identical to the Novus Ordo Seclorum at the back of the Eye of Horus hovering over the unfinished pyramid on the back of the One Dollar Bill. We shall further demonstrate this fact, and link these two terms to the "New World Order", below, but first, let us return to this quote from Hieronimous to see what Masons Wallace and President Franklin expected to occur as the result of this Novus Ordo Seclorum. What a revelation! 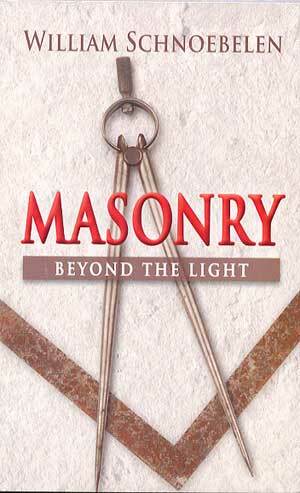 From the first degree, the first Initiation, the Mason is urged mightily to "seek the Light"! The average Mason is continually saying that he is "seeking the Light", and will spend his entire life "moving toward the Light". Almost every person in Western Civilization will assume that this "Light" is the revelation of the God of the Bible; indeed, this statement is held up continuously to try to convince us that Masonry is Christian. 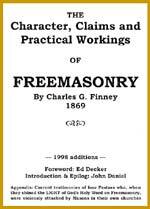 Yet, here, Albert Pike is saying that Lucifer is the One who bears the Light of Freemasonry! Lucifer is the Light-bearer of Freemasonry . Lucifer's man, the Masonic Christ, will be Antichrist! Once again, we can see that the "God" whom Freemasons worship is Lucifer. Therefore, the "Christ" they are planning to stage can be none other than the Man of Perdition, Antichrist. Now, let us research more occult writings to see the tight tie-in between Novus Ordo Seclorum, New Order of the Ages, and the New World Order. Now, you can understand why President Bush continually spoke of America's vision of "freedom" going out to light the entire world! Skull & Bones Masonic President Bush is merely putting the old, original Masonic ideal into 21st Century language. From this author, we connect Novus Ordo Seclorum to the New World Order. In the first quote from Hieronimus, we equated Novus Ordo Seclorum to the term, "New Order of the Ages". Therefore, the New Order of the Ages is synonymous with New World Order. 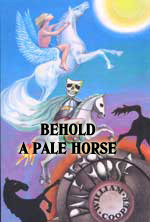 Since President Bush is a life-long Adept in the Skull & Bones secret society, let us now turn to the preeminent book revealing the Order of Skull & Bones, Antony Sutton. Since President Bush uttered the word, "freedom" 27 times in his Second Inaugural Address, it is important to know exactly what kind of "freedom" he has in mind for the world. While most people think of "freedom" as the ability to decide for yourself what you are going to do, the Masonic definition of the word means "complete subjection to the All-Powerful State". The skill of the occult propagandist lies in being able to communicate one message to the Adepts while deceiving the "vulgar masses" with a false message, a false definition. Since Antony Sutton mentioned, above, the conflict is essential to make the dialectic work, one has to stop to ask how this is played out on the world stage. In Seminar 2, "America Determines The Flow of History", we demonstrate that the Illuminati deliberately created Communism to be the perfect opposite system (Antithesis) to the Western system (Thesis) so that a new system could be created called Synthesis. Listen now to Sutton describe "Synthesis". Sutton here is certainly talking about the end of World War I and the overthrow of the Czarist regime in 1917 by the Communists. The reality is that both world wars have been planned in the Masonic secret societies since 1870, with all the wars and numberless conflicts of the 20th-21st Centuries have been deliberately started by the Illuminati for the purpose of establishing the global government, economy, and religion necessary for their Antichrist to arise. The first two world wars began and ended just the way the plan of 1870 envisioned; that plan foresaw that the Third World War out of which Antichrist will come striding, will begin in the Middle East, with Israel going to war against her Arab neighbors. Unless you have been on Mars the last 30 years, you know that a war is imminent between Israel and her Palestinian nemesis, and with Syria and Egypt, and possibly Jordan. Our invasion of Iraq and Afghanistan was primarily designed to so enrage the Muslim world against anything Western or Jewish that this all-out Middle East war will be inevitable. However, President Bush earlier uttered a term straight from Illuminized Satanism, one which is also tied into his increasingly bold vision for his second term, of carring out the original Illuminati Plan for America. "But I will speak about freedom. This is the cause that unites our country and gives hope to the world and will lead us to a future of peace. We have a calling from beyond the stars to stand for freedom, and America will always be faithful to that cause." The first fact you can glean from this quote from The Necronomican is that this term comes from Ancient Babylon, that city and religious system cursed by God many times in both the Old and New Testaments. However, Freemasonry in all its forms -- including Skull & Bones -- pays great homage and honor to Babylon, and admit over and over again that their Mysteries comes directly from the ancient pagan systems of Babylon and Egypt. During the time of our Founding Fathers, no major enterprise was undertaken until an astrology chart was cast, to ensure that the planned undertaking was "approved" by the "high spiritual beings" who lived and worked "beyond the stars"! Christians who know their Bible will recognize this entire activity and the "high spiritual beings" as demonism. Founding Father Masons were literally calling demons into this dimension as they built Washington, D.C., during a 100-year project which began shortly after the Revolutionary War. Our Masonic Founding Fathers have always believed that their establishment of America was a project taken in cooperation with "high spiritual beings" from "beyond the stars". In fact, that is exactly the symbolism of the All-Seeing Eye hovering over the unfinished pyramid on the back on the American One Dollar Bill. The god Horus (Lucifer) is hovering over the unfinished work on Earth, being carried out to change the world so the Masonic Christ could appear. Thus President Bush is hearkening back to our Masonic roots in two ways during this inauguration: By his statement above, that he is "going forward" with the original Founding Father's concept of a "New Order of the Ages" (New World Order) and by his quote of this phrase "a calling from beyond the stars", which clearly originates in Satanism. Since Masons fervently believe the Masonic Christ will appear on Earth as the result of their efforts, we can be sure that President Bush is telling the world that his actions during this second term will be taken in order to further that original national goal. These two statements are startling, and very revealing as to the true nature of the heart of this President. President Bush's Second Inaugural Address deserves closer attention, which we shall do; but, for now, we must concentrate on the most important portion of his address: his revelation that he is committed to moving history to the conclusion envisioned by our Masonic Founding Fathers -- into the New Order of the Ages, the New World Order. 1) "We go forward with complete confidence ..."
2) "When our Founders declared a new order of the ages"
3) "... history also has a visible direction ..."
"America will go forward with complete confidence to achieve the goal of our Founding Fathers - a New Order of the Ages (New World Order) -- to move history into a visible, planned direction." What is that direction? New Age author Robert Hieronimus declared that the result of the New Order of the Ages was the appearance of the Christ -- the Masonic Christ -- Antichrist. What lies directly before the world? Likely, the Third World War which will produce Antichrist lies directly ahead. The Bible calls this war the Final Birth Pangs (Matthew 24:6-8). We shall see, I believe, a very violent, bloody international and domestic period under a second term for George Bush. With this concept as background, can you better understand the following recent news articles?